You want to be safe when you’re out on the road in your car, for your sake, and for that of other road users. However, there may be certain signs prevalent within and around the surface of your car, indicating that lives may be at risk if you get behind the wheel. From the little issues to the bigger problems that can affect your vehicle, here are the warning signs to look out for. Your car windshield has been treated with a special plastic material that ensures your glass doesn’t shatter into large pieces in the event of an accident. However, if you notice a white haze around the edges of the windshield, this is evidence that the plastic treatment is separating from the glass. 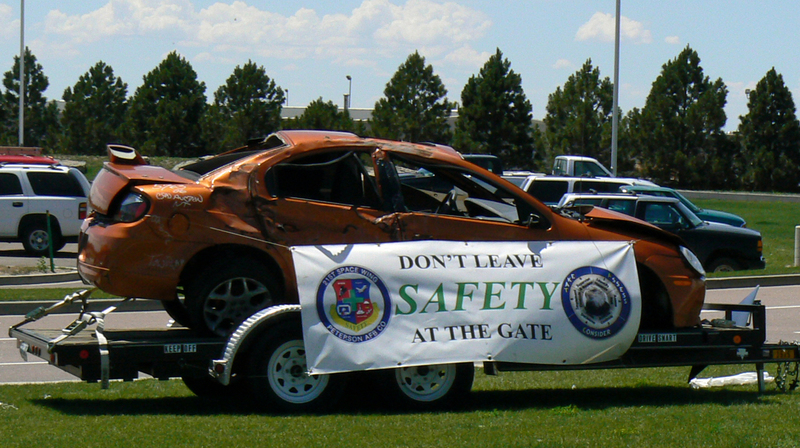 The consequences could be lethal should you be involved in a collision. To deal with the problem, get help from a quality auto glass service. The same applies for any windshield problems, such as any cracks or discolorations that are blocking your view of the road. Okay, so you don’t need to wait until every light is lit up before you take any action. If any of the lights on your dashboard are illuminated, you need to get on top of the problem before matters get worse. From your engine light to your temperature gauge, check out this dashboard guide to help you decipher the underlying causes behind the warning lights lit up in front of you. Failure to undergo the appropriate checks could result in mechanical failure, more pressing (and expensive) problems, and danger to life for you and those around you. There’s no smoke without fire, so they say, and this is especially true of your vehicle. Not only could your car actually be on fire, but you will be burning your money away on repairs if you don’t get to the source of the problem. If your car does set on fire, it will normally be due to a problem with your electrics (or you have just been in a collision). If you do notice a burning smell, always pull over and check. There may be no flames yet, but there could be a fault within the wiring that needs to be looked at as soon as possible. There may also be issues within the engine’s combustion chamber or a shortage of oil. Either way, see a qualified mechanic. To further protect yourself, always carry a portable fire extinguisher in the back of your car. It’s better to be safe than sorry. To be honest, if you ever see, hear, or smell something that doesn’t seem right within your car, you should get it checked out. There may be nothing wrong at all, but you don’t want to take any chances. You don’t want to be responsible for the consequences, after all.